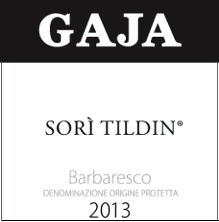 The 2013 Barbarescos are led by the three single-vineyard offerings from Gaja. With the ’13 vintage, this estate has changed course. In the past, the wines included some Barbera in their blends, but with this vintage they are 100 percent Nebbiolo. In consequence, they have returned to the Barbaresco DOCG (Denominazione di Origine Controllato e Garantita), with triumphant results. “Now is the time for us to make our own choices,” Gaia Gaja told Wine Spectator last July, referring to the new generation at Gaja. “Together we want to follow our own path, which is to have the single vineyards back to the Barbaresco denomination and to devote ourselves to Nebbiolo and fully enhance its expression. I give an edge to Gaja’s Barbaresco Sori Tildin (95, $475) over the Costa Russi (94, $475) and Sori San Lorenzo (94, $475), yet all are scintillating wines.